German Mexicans (German: Deutschmexikaner or Deutsch-Mexikanisch, Spanish: germano-mexicano or alemán-mexicano) are Mexican citizens of German descent or origin. Most ethnic Germans arrived in Mexico during the mid-to-late 19th century, spurred by government policies of Porfirio Díaz. Although a good number of them took advantage of the liberal policies then valid in Mexico and went into merchant, industrial and educational ventures, others arrived with no or limited capital, as employees or farmers. Most settled in Mexico City, Veracruz, Yucatán, and Puebla. Significant numbers of German immigrants also arrived during and after the First and Second World Wars. The Plautdietsch language is also spoken by the descendants of German and Dutch Mennonite immigrants in the states of Chihuahua, Durango, Zacatecas and Aguascalientes. Other German towns lie in the states of Nuevo León, Jalisco, Sinaloa, Yucatán, Chiapas, Quintana Roo, and other parts of Puebla, where the German culture and language have been preserved to different extents. The German-Mexican community has largely integrated into Mexican society as a whole whilst retaining some cultural traits and in turn exerted cultural and industrial influences on Mexican society. Especially after the First World War intense processes of transculturation can be observed, particularly in Mexico City, Jalisco, Nuevo León, Puebla and, notably, with the Maya in Chiapas. These include social, cultural and identity aspects. The German settlement in Mexico goes back to the times they settled Texas when it was under Spanish rule, but the first permanent settlement of Germans was at Industry, in Austin County, established by Friedrich Ernst and Charles Fordtran in the early 1830s, then under Mexican rule. Ernst wrote a letter to a friend in his native Oldenburg, which was published in the newspaper there. His description of Texas was so influential in attracting German immigrants to that area that he is remembered as "the Father of German Immigration to Texas." Many Germans, especially Roman Catholics who sided with Mexico, left Texas for the rest of present-day Mexico after the U.S. defeated Mexico in the Mexican–American War in 1848. In 1865 and 1866, a total of 543 German-speaking people (men, women, and children) were brought from Hamburg specifically to the villages of Santa Elena and Pustunich, in Yucatán. This was a project of foreign colonization promoted during the Second Mexican Empire, and the reign of Emperor Maximilian I of Mexico, with the governing body of the state of Yucatán. The majority of these people were farmers and craftsmen: wheelwrights, shoemakers, cabinet makers, etc. Other colonies were established in El Mirador, Veracruz by the German botanist Carls Sartorius, and in the state of Tamaulipas by Baron Juan Raiknitz (Johan von Raknitz), in 1833. Sartorius's settlement, known as The Hacienda, attracted more than 200 settlers from Darmstadt, Germany. The Hacienda was visited many times by Maximilian I, and Sartorius was made the Minister of Agriculture under the Empire. In 1890, Porfirio Díaz and Otto von Bismarck collaborated to take advantage of southern Mexico's agricultural potential by sending 450 German families to Soconusco near Tapachula in the southern state of Chiapas. Extensive coffee cultivation quickly made Soconusco one of the most successful German colonies, and between 1895 and 1900, 11,500,000 kg of coffee had been harvested. Fincas (estates) were erected in the Chiapaneco highlands and given German names such as Hamburgo, Bremen, Lübeck, Agrovia, Bismarck, Prussia and Hanover. About 6,000 Russian Mennonites, who came originally from Northern Germany and the Netherlands, migrated from Canada to northern Mexico in the 1920s. Today, there are about 95,000 descendants of Mennonites in Mexico, who have preserved the Plautdietsch dialect. By their community's rules, German Mexican Mennonite men are allowed to speak Spanish, but women must speak only German. The most prosperous Mennonite colonies in Mexico lie in the states of Chihuahua (Cuauhtémoc, Swift Current, Manitoba), Durango (Patos (Nuevo Ideal), Nuevo Hamburgo), Zacatecas (La Honda), Aguascalientes and Campeche. Homes in the town of Nueva Alemania resemble the architectural style of northern Germany, and many of this area's settlers came from the cities of Hamburg, Bremen, and Lübeck. 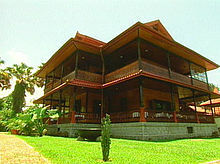 In San Luis Potosí, Sinaloa (Mazatlán) and Veracruz, settlers from Bavaria built structures similar to those found in the Black Forest. The German Cultural Center building in San Luis Potosí is a Bavarian mansion that had been owned by the Baron of Baden-Baden. German immigrants founded the now defunct football club Germania FV. The Cuauhtémoc Moctezuma Brewery in Monterrey was cofounded by Germans. Oktoberfest is usually held in several large cities with German-Mexican communities throughout the country, mainly in Mexico City, Chihuahua, and Victoria de Durango. German Mexicans were important in the development of the Mexican cheese and brewing industries. German roots are particularly notable in Mexican music due to the large numbers of German immigrants in Texas and northern Mexico around the 1830s. The distributors of German-made accordions aggressively marketed the loud, sturdy little "boom boxes" as far back as the late 19th century. Today, various overlapping styles of music that descended in part from German music (notably polka) include tejano, conjunto, Tex-Mex, quebradita, banda, ranchera, and norteño. Such musical styles are especially popular in northern Mexico and in places of the United States where there is a large immigrant population of Mexican heritage. 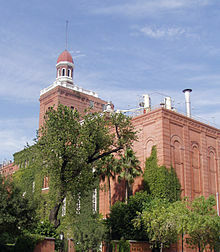 The brewing industry, in Monterrey, Nuevo León, was developed in part by German immigrants. The influx of German immigrants and the brief Austrian reign (mid-19th century) of Emperor Maximilian, who never traveled anywhere without his two German brew-masters, helped cement the art of brewing as an all-Mexican endeavor. German influence has had a lasting impact on Mexican beers, with brands such as Negra Modelo and Dos Equis Ambar, both deriving from a malty subset of dark lagers known as Vienna-style. The German-Mexican population is especially prevalent in southern Mexico, particularly the state of Chiapas, where German farmers and industrialists were encouraged to immigrate in the late 1890s. Following collaboration between Otto Von Bismarck and Porfirio Diaz to German colonies were established to develop modern coffee plantations and food processing facilities in the state. German-Mexicans make up a large minority of the population of the soconusco region of Chiapas, where the German population has intermixed with the Maya who make up the majority of the region's population. A study by the Autonomous University of Mexico found that in the municipality of Tapachula and the surrounding Soconusco region that the mixed Mestizo population had a larger concentration of German heritage than Spanish heritage. Many of the original German farms and facilities continue to operate as both ejidos and private ventures. Students of the Colegio Alemán Alexander von Humboldt in the early 20th century. The Colegio Alemán Alexander von Humboldt in Mexico City, established in 1894, is the largest German school outside Germany. The Colegio Humboldt Puebla was first established with 10 primary students and a German teacher in 1911. The school is a German international school in Cuautlancingo, Puebla, in Greater Puebla. The Colegio Alemán de Guadalajara, is a German international school in Guadalajara, Jalisco. The Colegio Alemán Cuauhtémoc Hank was established in 1993, is a German international school in Colonia Hipódromo, Tijuana. A small German school was founded in 1917 in Guadalajara as a branch of the Humboldt school. They included in their best kindergarten and elementary school and counted 120 students who were taught by twelve teachers. Mexico's entry into the war in 1942 marked the end of the first German school in Guadalajara. 1979, the school was re-established in the Mexican education system under fully involved. The German language was only taught as a foreign language in addition to the official Mexican teaching program. ^ "Table 1: Total migrant stock at mid-year by origin and by major area, region, country or area of destination, 2017". United Nations, Department of Economic and Social Affairs, Population Division. Retrieved 17 August 2018. ^ a b c d e f "International Encyclopedia of Linguistics: AAVE-Esperanto. Vol. 1". Oxford University Press. 28 August 2017. Retrieved 28 August 2017 – via Google Books. ^ Jürgen Buchenau (2010). The Heimat Abroad: The Boundaries of Germanness. University of Michigan Press. ISBN 0472025120. ^ Durán-Merk, Alma:European Immigrants as "Ambassadors of Modernization"? The Case of the Germans in Mexico. 54th. International Congress of Americanists, Vienna, Austria, 19.07.2012. ^ Durán-Merk, 2012, "European Migrants"
^ ""Los colonos alemanes en Yucatán durante el Segundo Imperio Mexicano"" (PDF). Opus.bibliothek.uni-augsburg.de. Retrieved 2017-08-28. ^ "Old Colony Mennonites - GAMEO". gameo.org. Retrieved 28 August 2017. ^ "Why Does Some Mexican Music Sound Like German Oom-pah-pah?". Spanish.about.com. Retrieved 28 August 2017. ^ "The Roots of Tejano and Conjunto Music". Lib.utexas.edu. Archived from the original on 2013-07-27. Retrieved 28 August 2017. ^ "FindArticles.com - CBSi". findarticles.com. Retrieved 28 August 2017. ^ a b "COLEGIO HUMBOLDT - Institución Educativa en Puebla - Preparatoria, Secundaria, Primaria, Kindergarten y Maternal". Colegio-humboldt.edu.mx. Retrieved 28 August 2017. ^ "Colegio Alemán Cuauhtémoc Hank". Cach.edu.mx. Retrieved 28 August 2017. Buchenau, J. 2002. The Life Cycle of a Trade Diaspora:The German “Colony” in Mexico City, 1821–present. Jahrbuch für Geschichte Lateinamerikas. 39:275-297. Buchenau, J. 2001. Small Numbers, Great Impact: Mexico and Its Immigrants, 1821–1973. Journal of American Ethnic History. Spring:24-49. Durán-Merk, Alma, 2013, "In Our Sphere of Life". Dimensions of Social Incorporation in a Stratified Society. Augsburg, Germany: Augsburg Universität. Von Hagen, Victor, 1970. Der Ruf der neuen Welt. Deustche Bauen Amerika. München: Droemer. Von Mentz, Brigida, Verena Radkau, Beatriz Scharrer y Guillermo Turner. Los pioneros del imperialismo alemán en México. México: CIESAS. This page was last edited on 21 April 2019, at 02:17 (UTC).